LITTLE LAMPY CAMPER REVEAL! — LAMPHOUSE PHOTO BOOTH CO.
After about 5 months of working day and night, we're so pleased to finally reveal the Little "Lampy" Camper in all of its adorable glory! Join us for a little look back at the progress we made! If you'll recall, it was a little worse for wear. Big dents, a broken hitch, flat tires, and that didn't even start to cover the INSIDE of the camper! So, we started work demolishing the interior and began working on scraping the old paint off of the camper. And my favorite thing is that depending on the time of day, it changes just a little bit and can be more blue or more green! Another really awesome project we were able to have done was the hand-lettered name on the back of the camper. It was done by a local sign painter, Canary Signs and it really is the cherry on top of the whole thing. So there you have it! 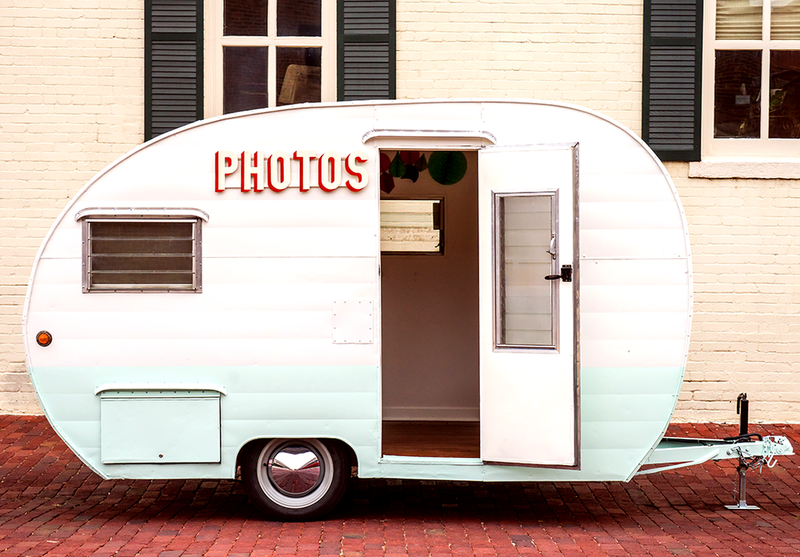 5 months almost to the day and Wichita's newest vintage camper photo booth is ready to roll out! It's already been a big hit at one event and I can't wait to see how many smiles it brings over the course of this year! We've already got several weddings booked and we're having so much fun brainstorming fun ideas and and events to take it to! If you're interested in booking the Little "Lampy" Camper or using it for a photo shoot or just about anything, Get in touch with us here! 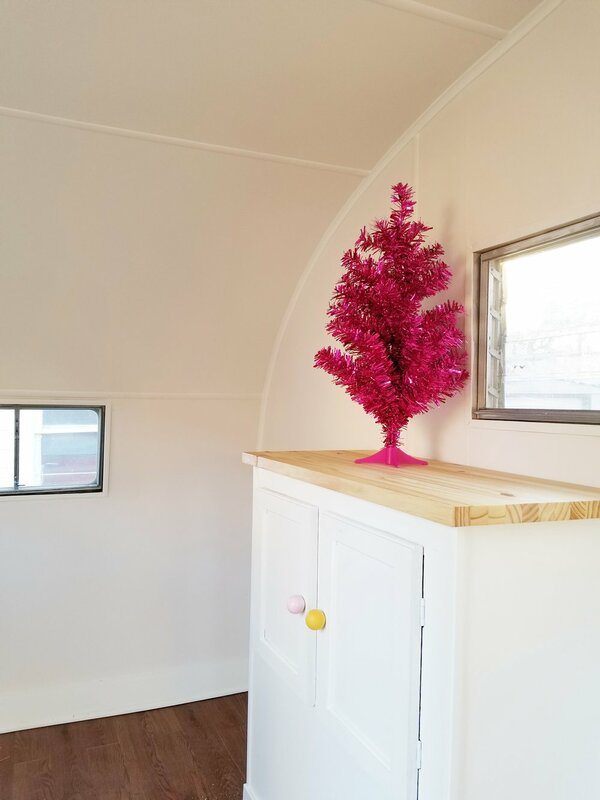 Up next, we'll do an interior tour and show some behind-the-scenes photos of the process of gutting and remodeling the inside of the camper! So excited for all of Wichita to get to see this little lady soon!